Back from Justice League. It isn't a bad film, it isn't a good film either. Justice League isn't a difficult movie to explain. It starts out with a generic villain with an even more generic "I'm going to take over the world." plot and never goes very far from there. 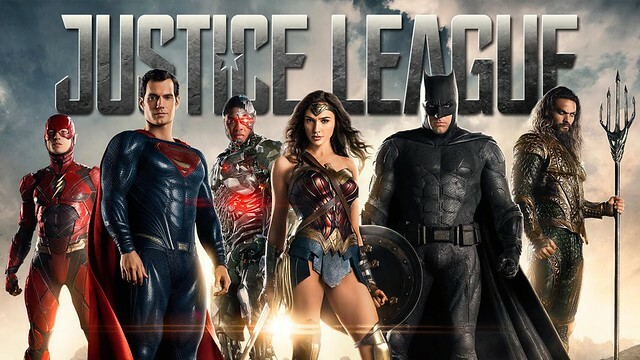 While it isn't a terrible movie, it's mostly a generic film that didn't need to exist and only moves the story arc of the DC heroes a short way forward. Reportedly the movie will be a loss of $50-$100 million for Warner Bros. This weekend it fell to second place behind Coco. They need well over $700 million to break even and although not impossible it isn't especially likely to happen following such a poor open and rapid downward trajectory heading into the next Star Wars. I don't get how they repeatedly mishandle the live action DC movies but are fairly consistent at putting out good to great animated movies. With international box office and a boost from China, it is very likely that they will end up with over $800 million in worldwide box office. Helped by the idea that the film got good audience feedback last weekend. You could tell there was something off about Justice League right from the beginning. It felt like a whole chapter was missing. I suspect that Joss Whedon butchered the film with his re-shoots to add more "comedy". Some of the reshoots are just painful to watch, like where they put a CGI mouth on Superman in the cornfield to cover up his mustache. He does this weird plastic Joker grin thing for a second that just jumps out at you and tells you that scene was badly edited for some reason. I saw several other spots where the CGI just didn't seem to match up and some other weird stuff. Like when they are about to board the Bat Jet as a team, everyone on the team looks upward all serious kind of like an Alex Ross poster, but the Flash's head doesn't match up, he isn't looking up and he has this dumb grin on his face. It looks like they pasted a re-shot head on top of his head to make the scene seem less "serious". It would be nice if some day Zack Snyder goes back and does a Director's cut of the film like the Richard Donner Superman II edit to make this movie into the movie he had in mind. I can live without the jokes if the movie is good. Steppenwolf shows up from... where exactly? That is one of the bigger plot holes in these series is that they aren't showing us Darkseid or Apocalypse or any of the New Gods in all their Kirby-inspired goodness. A plot hole is something that the plot sets up, explicitly, but then ignores or fails to apply later. A film not doing a thing you would like, even if it's obvious, isn't a plot hole. But yeah, i totally agree that they should have shown Darkseid or Apocalypse. The film falls inot the trap of "saving it for later", which is a HUGE pitfall of bad writers who think they are guaranteed a success they are not guaranteed. They intentionally picked a lame villian so he oculd be a stepping stone to a real villian in the sequel film. That's like intentionally cheating ticket purchasers out of the best movie you could give them because you didn't want to make your work harder in a sequel.
" I suspect that Joss Whedon butchered the film with his re-shoots to add more "comedy"." My understanding is that the only thing people seemed to like about it was the Joss Whedon stuff. That's generally why it had positive reception. As for the box office, I see a LOT of discrepancy in what the film is grossing. I feel like your projections are on the high side. There aren't enough facts to blame Whedon or Snyder. What we do know is WB mandated an under 2 hours runtime and they had to cut out at least 40 minutes. Warner execs were pulling the strings every step of the way. Box office numbers from China are nearly irrelevant when the studio gets almost none of that money back. Current worldwide total isn't halfway to their goal and will only see diminishing returns from here on out. For the movie to reach the break even point everyone who has seen it already has to see it 5 or 6 more times. Sorry, but I liked it. It's not perfect but it had a sense of being grounded with scenes of Batman bringing 'out the big guns'. When his Mum appeared. I'm feeling those scenes as they're REAL life and, then, you get the sensibly placed comedic moments. For once Superman is, basically, as he should be... Super damn fricking tough. He literally destroyed the bad guy which was a pleasent surprise. Also, in all of the DC/Marvel films I've never sat there and felt like a giggling young kid at any scene until the moment Flash started to run and Superman LOOKED at him. That one scene got everything right about Superman, Flash, everything. That scene alone stole the entire film for me. Was it perfect? No. Was it good? Yes. Then again I've liked ALL of them but found Wonder Woman boring. When I go to see a film I want to be entertained. It only has to do that and this film did that. I'm not looking for this, or that, as I've see a LOT of films now that I'm 43. To say this is a bad film is a bit silly as I save that for Kevin Sorbo or SciFy movies. Not explaining a character's backstory isn't a plot hole. It's never been considered a plot hole. Not going into the character's history or explaining his backstory is not - in any way, shape or form - an inconsistency within the storyline, nor does it violate the story's internal logic. We're dealing with a movie that was intended to be part of a larger story. Not going into Steppenwolf's backstory makes a certain amount of sense. Bitching about it is about as sensible as, say, complaining about the lack of a backstory for Snoke during the first part of a three-part story. You could tell there was something off about Justice League right from the beginning. Apparently we saw different films with the same name. It was immensely entertaining and far better than the abomination that was BvS. I recommend a theater viewing. It was a blast. The one thing that DC has head and shoulders over Marvel is having the best villains. The fact that they only use, like, 3 of them is DCs biggest crime. I would be okay if we never saw The Joker ever again. Or at least for a decade or so. Give us Mr. Freeze, Clayface, THE RIDDLER, Clock King, Lockup, Lady Shiva, Professor Pyg... they could all be "The Joker" if given to the right actor. Personally I want to see a Gotham City that acknowledges them all. I like the idea of Gotham being a mirror of our society and an urban powder keg where instead of people taking a gun and shooting up a church, or shooting their wife and kids and then shooting themselves, they put on a mask and act out in public. Everyone in the city is just one trip to the DMV away from becoming some bizarre costumed lunatic. ..which is not coincidentally the plot of one of my favorite Batman arcs. The editing on this movie was just terrible. Characters just didn't seem to act like they would given the stakes. The Marvel movies aren't just handling the IP better, they are filming and producing better. I don't disagree, but I would argue that they have yet to put out a movie that is outside of Snyder's mandate that they all be "ugly". Part of the reason they look so awful is becuase they are not only based in his ugly visual identity, they are patchwork on top of that. I feel like there is a pretty obvious visual seam in that film when you get to Snyder's stuff in Wonder Woman. It's all the stuff that doesn't work. I honestly don't know why you would want this. Zack Snyder is seen as the guy that essentially screwed up the series of movies before this one (aside from WW, where he wasn't as involved). While Joss might have a certain style that's very distinct that clashes with Snyder's style, he makes more or less competent movies and was providing something that was missing in the franchise so far: Some actual fun. A tonal shift to one camp or the other is needed, sure, but Snyder has not been able to make a good movie with his style so far. And after the death of his daughter, I think he should get some time off to just be himself for a bit and figure out what he wants to do. I think it's a shallow reading that only limits Whedon's contributions to being that he adds "fun". The biggest problem with Snyder's films is that his characters are completely unlikable. He doesn't bother to insert any information about any of them to make them likable. They have ZERO charm, ZERO personality and ZERO charisma except what the actors can wring out of a stone cold script. Snyder likes Superman and Batman as ideas. Superman is the ICON of "Superman, the cultural phenomenon". But Snyder has no real interest in Superman as a character who's adventures people want to follow. And because we don't care about Superman as a character, we don't care about why he's always dramatically brooding. Alan Moore wrote The Watchmen to look at the icons of heroism. But HE had the intelligence and the talent to make his characters likable and charismatic. 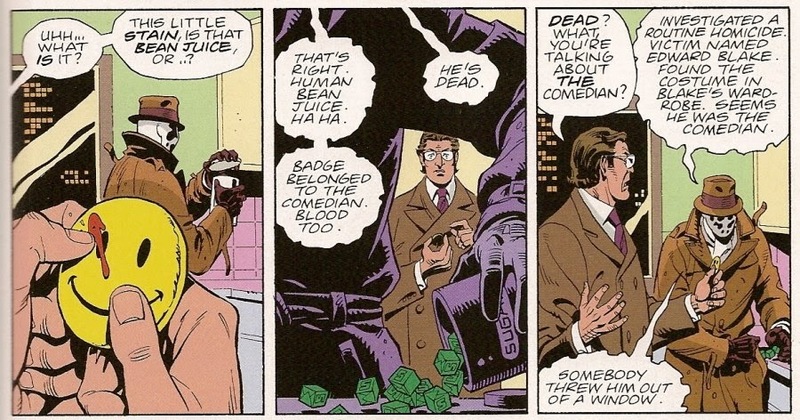 Even Rorschach, who is meant to be unlikable, has a sense of humor. It's a sense of humor that fits his character, but it's what makes him endearing. If not for Whedon, I don't hink the film would be getting a good response at all. So far he's had something like 5 movies now under his stewardship of the DC franchise and all but one of them has been a disappointment to the fans of the books and mostly financially. They may have made *some* money but they aren't nearly on track to make anything like the rumored $10 billion PROFIT the Marvel movies have generated for Disney in any similar time frame. He's the wrong person for the job and I think it's pretty clear now that he's had 5 years and 4 movies to show. I am not sure he has the vision to see all the layers through the years and tie things together like Kevin Feige who manages all the Marvel film properties. I read that before going to see the film and, as they said, the opening VERTICAL VIDEO (Aggghhhhhh) of SuperTASH did look pretty bad. Ooo man .... that mustache in superman would have being great! Aquaman was way better than I thought he would be. Kinda excited for an Aquaman movie now. I feel like they kinda gave me nothing to like in Cyborg, and I already like the character. Shame. Autistic Flash was an interesting choice. Dunno why they used Barry Allen when the character we got was more Wally West, but whatever. The flashback scene with Atlanteans, Greek Gods, Amazons and Green Lanterns was really cool. Steppenwolf needed way more iterations in character design. He was a grey mess of details, with nothing standing out. Overall, I felt pretty much the same as Evil...Not a bad movie, but not a good one either.